Visit our Skin for Life Video Library on YouTube for training videos. Visit Skin for Life Pure Science's profile on Pinterest. for cleaning FOAM FILTERS used in all Nue Skin Microdermabrasion machines. Extend the life of your microderm machine and filters through proper maintenance. Grey Foam Filters are designed to increase the life of the microderm blue filter. They are placed over the small blue filter found inside the canisters and should be cleaned after every treatment and replaced after ten treatment uses. 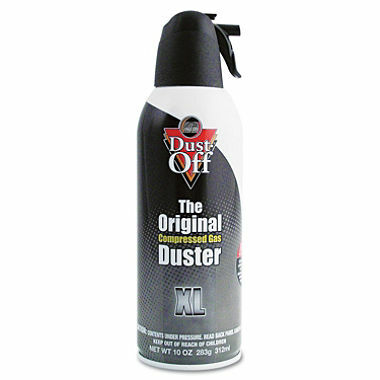 Use the compressed air to clean these foam filters to remove all debris, dust, crystals, and grains between treatments. *Proper cleaning of microderm foam filters helps to maintain your microderm machine warranty and helps provide longer filter life and optimal suction performance. **Please read safety precautions on bottle. Keep out of reach of children. *Prices subject to change without notice. Packaging subject to change. *Images are for representational purposes only, please rely on descriptions when ordering.